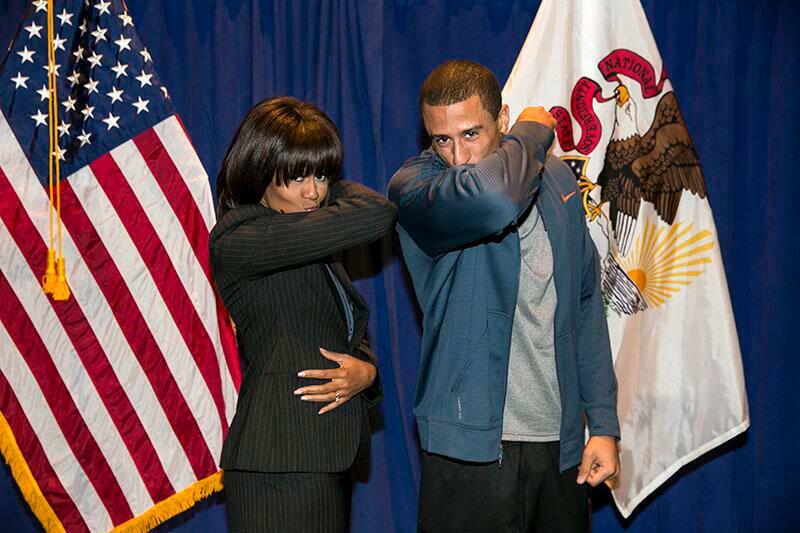 Home » Uncategorized » FLOTUS Michelle Obama Bay Area Reception! FLOTUS Michelle Obama Bay Area Reception! The First Lady of the United States, Michelle Obama, will be visiting the San Francisco Bay Area on Thursday, January 30, 2014. She will be having an evening reception and fundraiser for the Democratic Party at a location that will be disclosed upon your RSVP. Ticket prices start at $500 and you can visit http://bit.ly/19dVuWk to purchase your ticket. 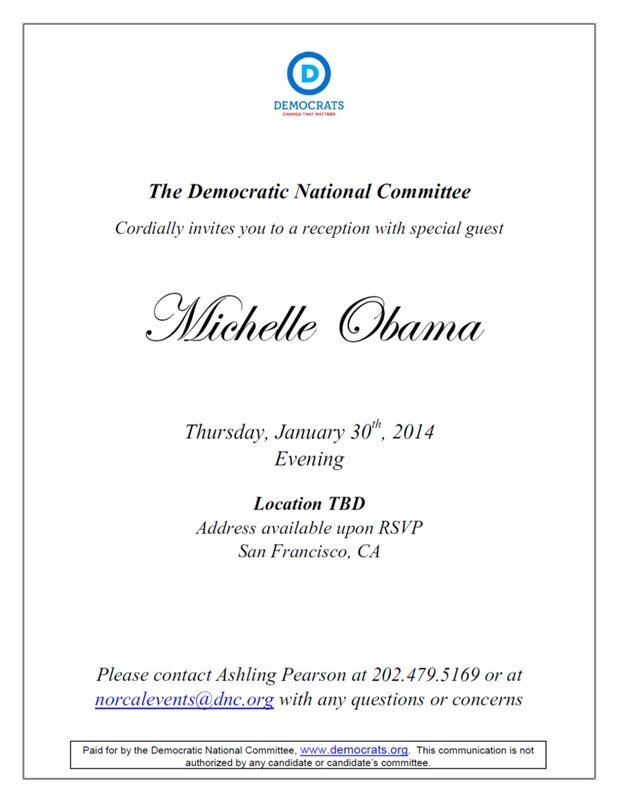 For more information, please contact Ashling Pearson with any questions at NorCalEvents@dnc.org or (202) 479-5169. By KLN Consulting Group in Uncategorized on January 8, 2014 .